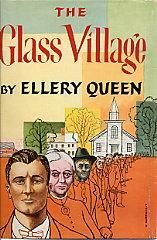 Originally, this novel starred Ellery Queen, and took place in Wrightsville, but halfway through, the cousins changed the Ellery character to Johnny Shinn, and the town became Shinn’s Corners, probably in Massachusetts. As such, it is the first, and only, stand alone novel written by the cousins. 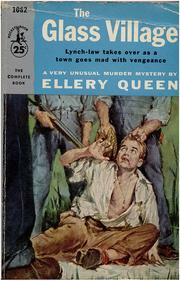 By eliminating Ellery Queen, perhaps the cousins hoped to garner some respect for this novel, by elevating it out of the genre ghetto. Perhaps they did not want to sully the image of their television and movie star character by placing him in such a pointedly political novel. This is, on the one hand, a novel about McCarthyism and mindless, violent mob action, and, on the other hand, a novel about the levels of duplicity powerful elites will go in order to control the mob, to subvert the popular will. Television sponsors could, in the 1950s, very well have pulled their support of any show connected with those themes. There is even a mystery buried in all of this, but one so simple it could have been condensed to a This Week length short story. The mystery, though, is very much secondary to the main story, which is about the accusation of a man of a murder for no reason other than that he is a stranger to the area, and the following show trial. The townspeople want to string him up, while Johnny Shinn, Judge Shinn and others want to run an appeasing trial so out of touch with jurisprudence and Constitutional rights that any appeal would have it immediately thrown out of court. You have to understand that the Puritan spirit lies heavy within us, like gas on a troubled stomach. None of your New York or even Cudbury melting pots for us, to reduce us to some watery soup with a furrin handle. We’re concentrated in our substance, and if you set your nose to the wind you’ll get a whiff of us. Things have not changed much over the years. There remain places, in cities and in rural areas, where strangers dare not show themselves. The cousins writing the story even seem to fall into these prejudices. A quarter century after their first novel was published, they still exhibit, while not as overtly, basic racist attitudes. For instance, at one point they have Judge Shinn, apparently without irony, opining: “Slavery didn’t last in New England not for moral reasons so much,” remarked the Judge slyly, “as for climatic ones. Our winters killed off too many high-priced Negroes.” As late as the 1990s, some knuckle-draggers continued to use this same analysis to discredit diversity efforts. You take this Commie business. Suppose there were no Commies. There’d still be Africa, India, China – there’d still be Spain and Germany, and the Arabs, and the Peronistas – there’d still be the world of poverty, hate, ambition, greed. There’d still be atom bombs, hydrogen bombs, nerve gas. And there’d still be the book burners and the witch hunters and the double talkers. About the only note of reassurance the brass keep sounding is that we’ve got all of three years left before the bombs start falling…So what do you want me to do, Judge – find a job, get married, have kids, buy a house, water a lawn, save up for Junior’s college and my old age? What for? It is a series of lies laid on top of each other. The lies of prejudice, the lies the elite use to placate the masses, and the lies of whoever the actual murderer is. Johnny eventually decides to find the truth (whatever that is, of course), by ignoring some lies and sifting through others. He eventually figures out the murderer’s identity, but that changes nothing in Johnny’s mind. He sums things up by saying “The stupidity is still with us.” The Judge agrees, while reminding Johnny, and other intelligent people like him, is also, still with us. They did one other stand alone novel in 69. It was called Cop Out. 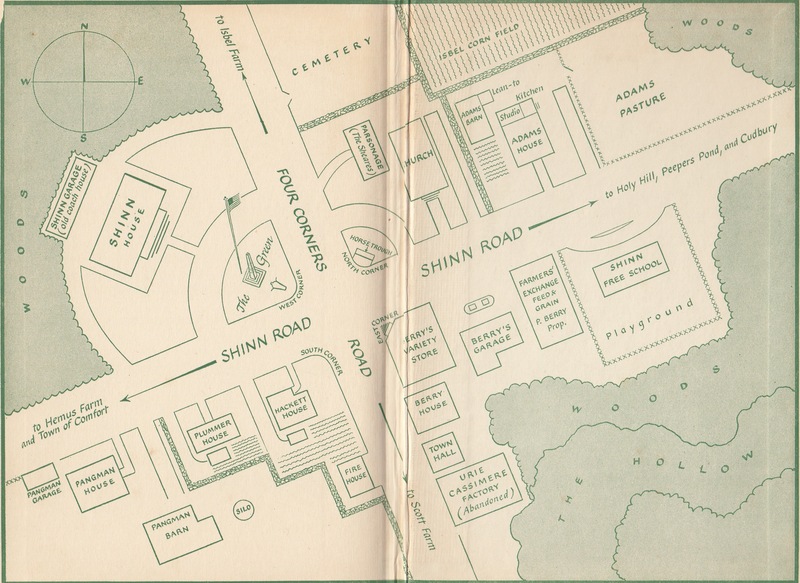 Francis Nevins thinks this was by Lee And Danny despite being a paperback. Good to know for when I get to 1969! The anti-lynching and “humanity is rotten” themes in this are quite strong, and is handled better than if Ellery himself had been in it. As far as the mystery goes, it is particularly sharp in that even if you are paying attention to the clues, you find at the denouement you have been watching the wrong ones!